S.A.F.E.R. 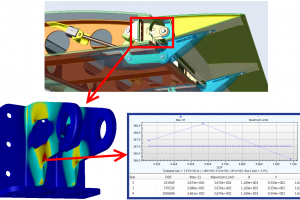 Simulation Views: Challenges Faced by A&D Programs | ESRD | Engineering Software Research and Development, Inc. In our February edition of S.A.F.E.R. Simulation Views, we asked ESRD President & CEO Dr. Ricardo Actis about simulation-driven design. Q: What do you see as important challenges faced by A&D programs to achieve the wider, more reliable use of simulation software? There are numerous critical challenges confronting the design programs and sustainment efforts of military aircraft. We all recognize that historic methods of fly-fail-fix are no longer acceptable due to their cost, risk, and the potential for loss of life. This is accelerating the need for improved aircraft design rules, analysis methods, and certification procedures. 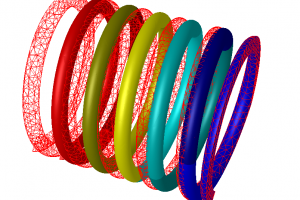 These in turn are all made more complex and risky by the introduction of new materials and new manufacturing methods. Simultaneously, we are confronted with the need to reduce the time and cost of testing, all while the complexity of aircraft performance requirements demands more time in the schedule for prototyping and testing, not less. As a consequence, advanced simulation and modeling capabilities are being used earlier on in the design cycle, often prior to detailed design. Our challenges don’t stop once the aircraft is in service. Traditional approaches for aircraft inspection, maintenance operations, and repair services are becoming unsupportable. We are experiencing just as much pressure on the back end for new methods and tools to support the design and certification of repairs that can ensure the reliability and extend the life of an aging airframe structures. Developing a framework to help manage all these risks with improved reliability is a priority for NAVAIR. 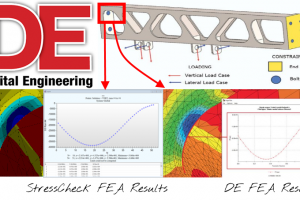 A key requirement of this framework is that it explicitly support Verification and Validation of engineering methods and models with the fidelity and reliably to capture the parameters of interest whether they be stress, strain, dynamics, or failure modes. This is of critical importance as some aero-structure models may be used and repurposed for years with many changes, enhancements, and extensions. Without some form of governance over our simulation methods, tools, rules, and best practices we may inject even more risk and complexity into our programs. For that reason the practice of Simulation Governance, which ESRD among others has championed in recent years, is viewed as a key enabling capability to achieve the wider, more reliable use of simulation that benefits military aircraft programs. Stay tuned as we explore other pressing questions in the areas of Simulation Governance, Benchmarking, Democratization of Simulation and more!